A card that proclaims the truth of Baptism - Word and Water are a sacrament to wash away our sins! This card is a keepsake that will remind the recipient of their baptism, and provide the comfort of assurance of salvation for all who believe in the finished work of Jesus Christ. 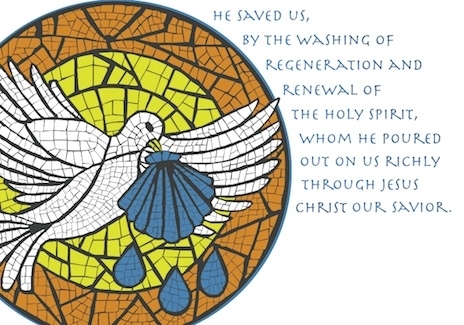 Outside: HE SAVED US, BY THE WASHING OF REGENERATION AND RENEWAL OF THE HOLY SPIRIT, WHOM HE POURED OUT ON US RICHLY THROUGH JESUS CHRIST OUR SAVIOR. 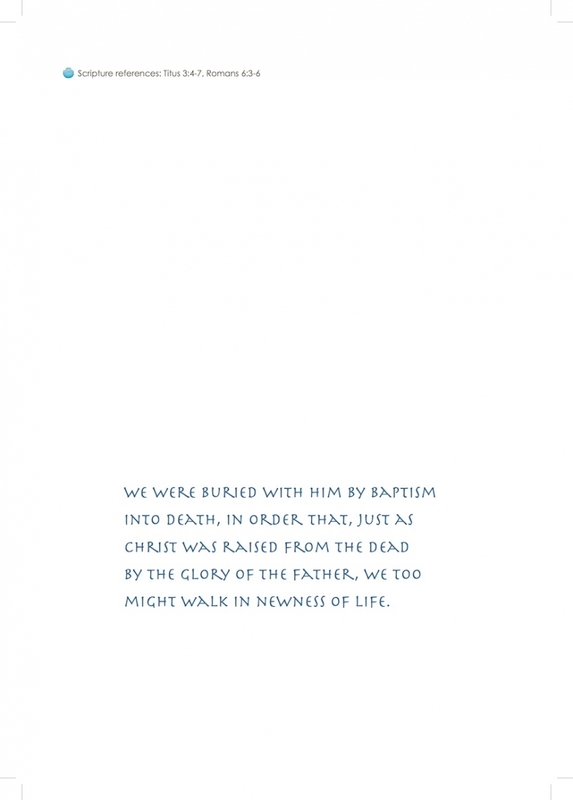 Inside: WE WERE BURIED WITH HIM BY BAPTISM INTO DEATH, ON ORDER THAT, JUST AS CHRIST WAS RAISED FROM THE DEAD BY THE GLORY OF THE FATHER, WE TOO MIGHT WALK IN NEWNESS OF LIFE. Original design exclusive by Ad Crucem.